Tesla and Panasonic are halting their plans to expand Gigafactory 1, which is the worlds largest producer of electric vehicle batteries. The information comes out of a report from Japanese publication Nikkei, which claims there is concern regarding less demand for Tesla’s vehicles and rising competition from legacy automakers. Originally, Panasonic and Tesla aimed to increase the capacity of the factory by 50 percent by 2020, but now those plans are up in the air, claims the report. Further, the two companies worry about the scale Tesla is expanding at, and feel that a significant investment at this stage is too risky. Therefore it seems like the Californian automaker is pushing back its goal of making a million cars a year for the time being, as per the report. The consensus is that the Gigafactory in Nevada is capable of producing 500,000 batteries per year. To put that number in perspective, Elon Musk has stated that the company is aiming to deliver between 360,00 and 400,000 vehicles in 2019, as reported by Bloomberg. With Tesla ramping up for the release of the Model Y crossover in the fall of 2020, the companies are banking on the success of that vehicle. According to he Nikkei report, the two companies will reevaluate the deal depending on how successful the small SUV is. While Panasonic is hesitant to fund the Gigafactory, Tesla told Nikkei that it’s still planning to invest in the factory as needed. This isn’t the best news for Tesla since it needs to fend off even more competitors in the space with the Volkswagen Automotive group’s massive push into the EV space and Ford’s highly anticipated Mustang inspired EV. 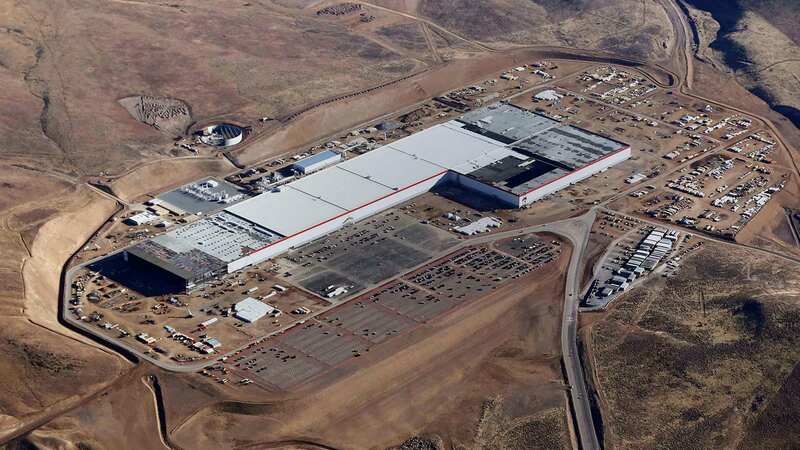 Update 11/04/2019 5:48 PM EST: The New York Post is reporting that Tesla is denying the report that both it and Panasonic have stopped funding the Gigafactory in Nevada. “Both Tesla and Panasonic continue to invest substantial funds into Gigafactory,” said a Tesla spokesperson to The Post.